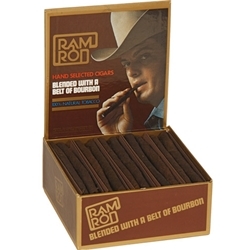 Medium to full body Ramrod Cigars are the creation of Avanti Cigar Company. Packed with extremely pleasurable flavors, these are available in both handmade and machine-made varieties. Handpicked tobaccos from Kentucky and Tennessee meet bourbon infusion to offer supremely tasting smoke. Pick your favorite Ramrod pack today and pay a discounted price on every deal. Whether you are a beginner or a regular smoker, the dry-cured tobacco used in these cigars is going to cast its spell on your senses.